About : Based in Denmark MakeMyWristband provides its customers with unparalleled value in the wristband identification marketplace. The products of Make my Wristband are designed to provide customers with the most cost effective method of securing identification. Make my Wristband has a vast client base constituting of professionals from the entertainment, recreation and health care industry. 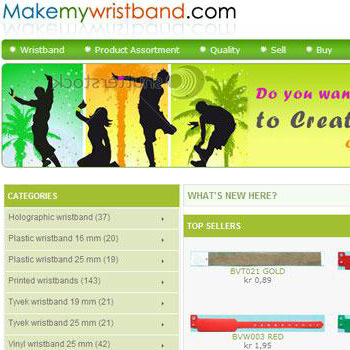 Offering such wide variety of wristbands at reasonable prices MakeMyWristband provides a platform which brings its customers to create buy or sell personalized wristbands. It is a unique way to see your creativity materialize into high quality product.